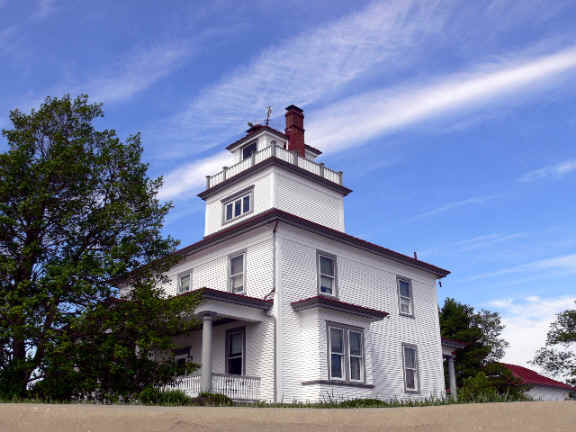 When Liston Range was established in 1906, this handsome Greek Revival home was constructed as the front lighthouse. 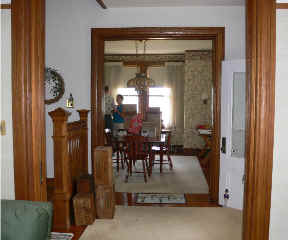 The house is a spacious two-story four-square. 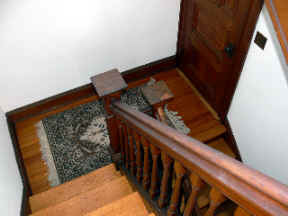 It has a central stairway leading to the watch and lantern rooms and a serious amount of hardwood trim throughout that had to be kept gleaming by the keeper's wife. 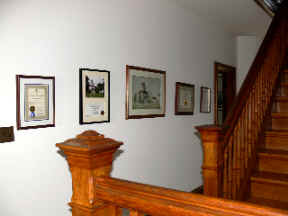 It's decorated with mementos of its days in the lighthouse service and preservation certificates. 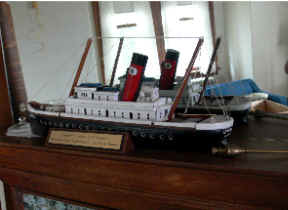 A ship model built by Keeper Harry A. Spencer Sr. graces the mantle of the living room fireplace. 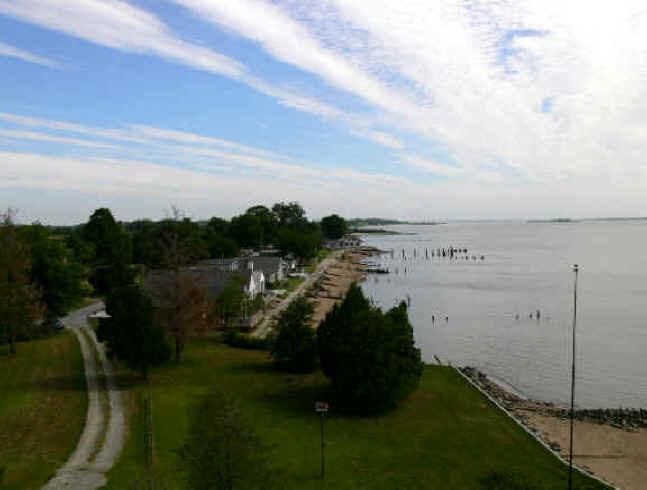 Although the house has witnessed many a storm, the view from the watch room on this day was of lush green, calm waters, and the quiet village of Bay View. 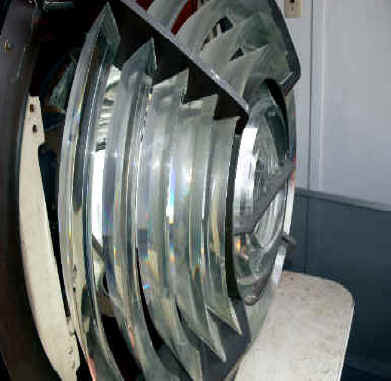 Although most of the original lighting apparatus is long gone, there is a lens in the lantern room -- placed there when the house was first sold into private hands in 1954. 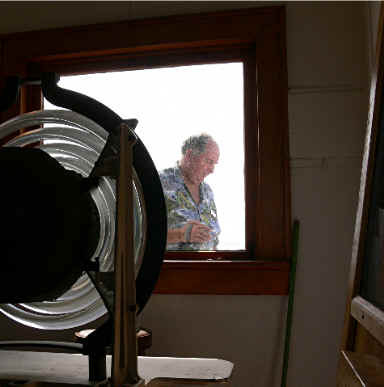 That's DRBLHF Board Member Red Mouloinier on the walkway outside the lantern room. 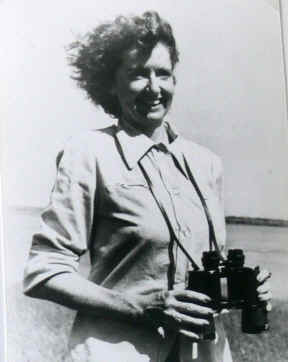 The first private owner was Kathleen Herbert (L), a widowed ornithologist, who bought it at a Coast Guard auction. When her family later sold the house, it was purchased by Dr. William Duncan, son of the first keeper George Washington Duncan. 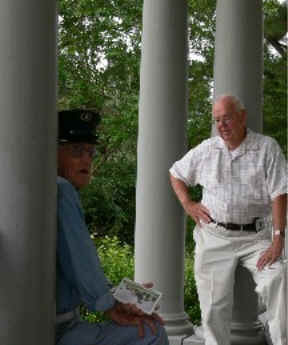 Dr. Duncan -- seen in the picture on the right with Harry Spencer Jr. (in the hat) -- recently sold the property to its third private owner. 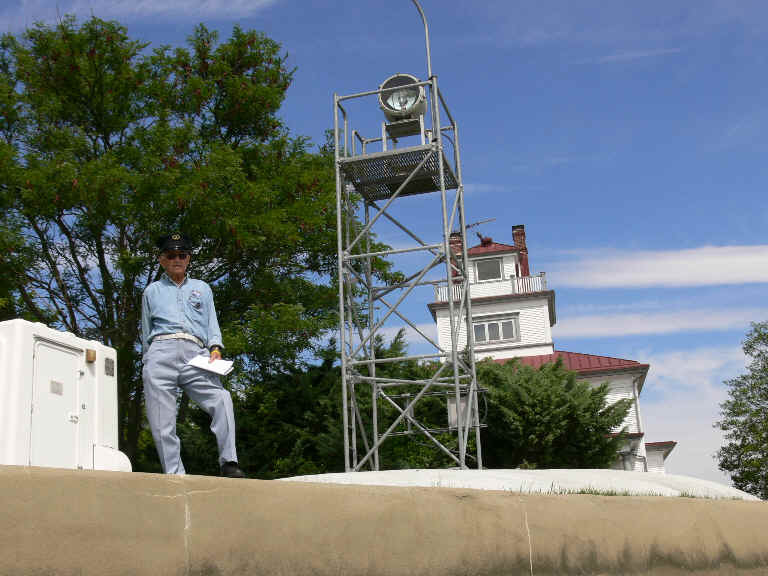 In 1953, the old lighthouse was abandoned by the Coast Guard and the light was placed on an angle-iron tower closer to the Delaware River. Last year, that tower too was abandoned, demolished, and replaced with this seriously-no frills iron platform.